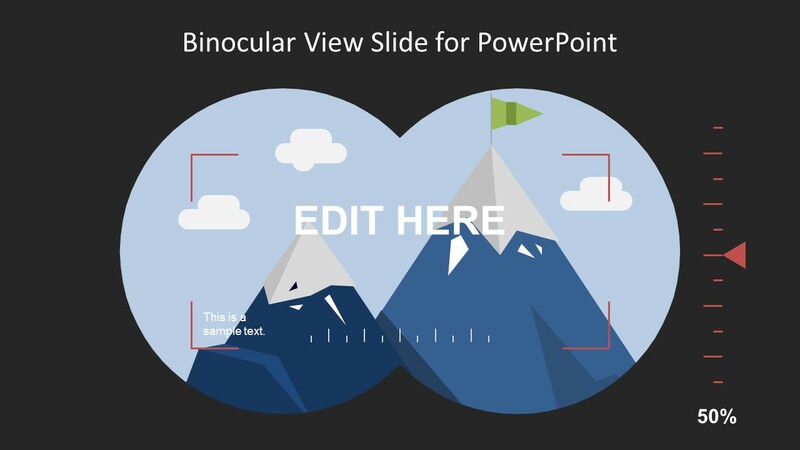 The Binocular View Slide Design for PowerPoint to present the visionary ideas and enhance the business’s prospective. 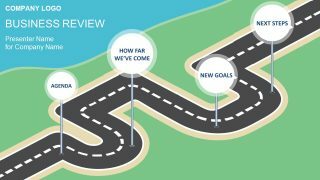 This binocular view PowerPoint is helpful in projecting the future plans of company. Whereas, the future vision of business ventures, growth and goals are easily presentable with the binocular view template. 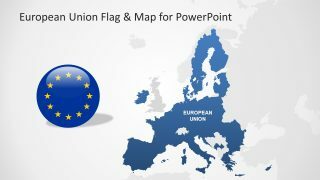 This PowerPoint slide contains an amazing illustration of mountain view with the focus frame and flag on top. Although, it is the metaphor slide template for the organizational vision to explain the financial matters and business communication. The slide is idea for managers and leaders to demonstrate the strategies, realistic long and short term goals and more. The flat vector slide template of Binocular View Slide Design for PowerPoint is a collection of high quality graphics. 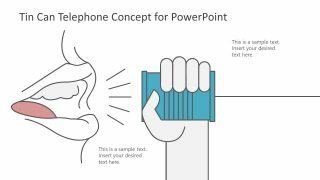 Therefore, users can rescale the editable PowerPoint shapes and icons without affecting its image quality. Also, the mountain top view is a collection of shapes like cloud figures, mountain peak, flag clipart etc. Hence, users can modify the shape and personalize the presentation. Such as, choose the green color for mountain or the darker shade for sky. Similarly, rotate, resize and adjust the cloud shapes for a unique display. Moreover, replace the entire view with another relevant image by inserting a picture. Here, to hide the unnecessary part of image, click the Arrange dropdown menu and select Send to Back option. The PowerPoint slide design for binocular view gives an impressive view on wide screen to present the company’s objectives and goals. The slide of binocular has two-eye view of mountain top. However, the rest of the screen is black, increasing the focus of the view. 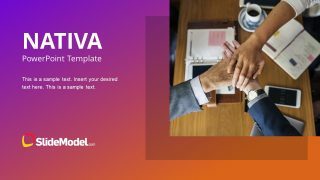 This PowerPoint template has 100% customizable colors and visuals details. The users can add company logo, trademark on the area available. Also, the placeholders assist the presenters to display important information and key components. Additionally, the scale on right hand side can present the increase or decrease in the business productivity.